Families often find themselves facing a question. What is the difference between assisted living and independent living facilities? In seeking senior care for a loved one you may be unsure of what’s the right fit. There are several differences between these two types of senior living communities. Below we will take a look at independent living vs. assisted living. Independent living communities are for seniors who still lead an active lifestyle. Owning a home is stressful at times and the responsibility may weigh on a senior as they age. A benefit of this is the all-inclusive rent. Residents don’t have to worry about all the bills that come with owning a home and maintaining it. Independent living relieves the stress and allows them to enjoy retirement. Additionally, some communities also offer meal preparation. However, they may only offer one or two meals. Depending on the independent living community, some senior apartments feature a kitchen. This allows seniors who enjoy cooking to prepare meals for themselves. Most independent living communities do not offer care. However, there is assistance available in emergency circumstances. Some communities offer personal programs for those who need minimal aid. For seniors who are unable to drive, transportation is available for appointments and running errands. Another benefit of independent living is the socialization the community offers. Activities and entertainment offer ample opportunities for residents to interact with one another and form friendships. Fitness centers also allow seniors to make healthy choices by exercising and using the various amenities offered. We offer an Independent Plus Program at Renaissance Village Murrieta. This program provides added support for residents. In turn. this allow them to embrace their independence. Their residency at our community is all-inclusive. This includes utilities, social activities, events, and wellness and exercise programs. In addition, they receiving weekly housekeeping and laundry. Lastly, residents wear a pendant, have two emergency pull cords in their rooms, and we check in on them throughout the day. Contact us today about scheduling a tour. Assisted living communities are for seniors who need more assistance. In addition, it’s great for those who are unable to complete their activities of daily living. In assisted living, rent is also all-inclusive and gives residents a worry-free environment. Cooks oversee all meal preparation. However, residents may also have a kitchenette within their apartment. This may include amenities such as refrigerator, microwave, and sink. Assisted living provides full-time staff, including licensed nurses on-site. Moreover, assisted living residents wear pendants and there are 24-hour emergency call systems. Staff track changes in residents conditions and keep families informed as care needs change. In addition, staff support and empower residents to embrace their independence. Care needs can vary and assisted living communities have different care options available for assisting residents. As care needs increase, their level of assistance may also increase. Caregivers assist residents in bathing, grooming, using the restroom, dressing, and so on. Residents may request transportation to doctor’s appointments, appointments, and running errands. Activities are a huge key to socialization in any assisted living community. Residents have activities throughout the day and can cultivate friendships with fellow residents. Activities don’t stay within the walls of the community. Many assisted living communities take residents on outings to the theatre, movies, lunch or dinner, aquariums, and more. Independence isn’t something you lose in assisted living. You continue to thrive with the support of staff. Renaissance Villages offer assisted living for seniors in the Murrieta and Moreno Valley areas. In addition to care, everything is all-inclusive for residents. This gives residents a worry-free lifestyle. This includes utilities, laundry, social activities, wellness and exercise programs, recreational activities, and more. 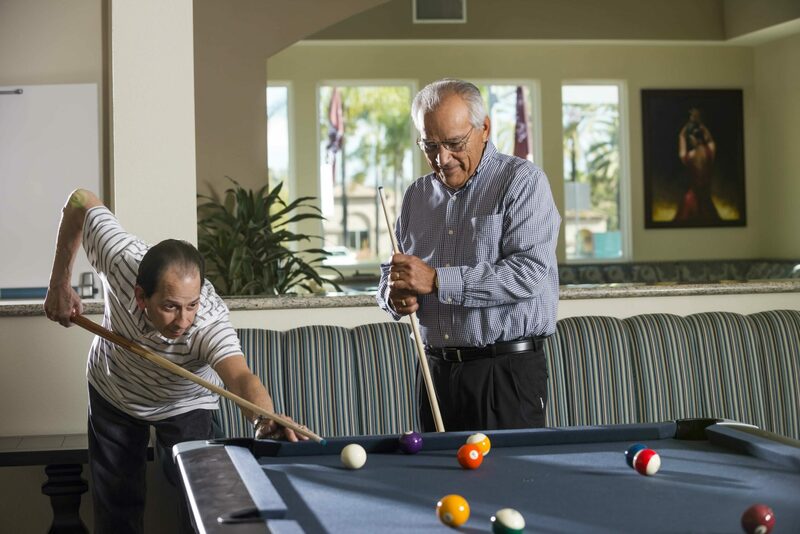 Each community is resort-style and purpose-built with our residents’ care needs in mind. We also encourage residents to consider the entire community their home. We have common areas located through the community and encourage residents and their families to cultivate new memories here. Additionally, our activities directors strive to create fun, educational, and engaging activities each day. Want to learn more about our Independent Plus or Assisted Living Programs? Scheduled your tour of the community today!